Could they launch after WWDC 2014? Apple fans may want to sit down for this one. 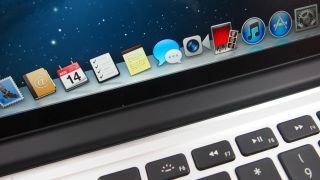 OK, it's not the iPhone 6, but a new report suggests Apple will launch a new MacBook Air with Retina display this year. According to sources from Taiwan-based supply chain makers, DigiTimes has it that Apple will have a new Retina-equipped MacBook Air ready to ship by the second half of 2014. This nugget of info arose from supply chain makers who maintained that contrary to the belief of some of their peers, Apple hasn't cut its MacBook Air orders. DigiTimes is hit or miss, and it seems its sources can be as well, so take the above with a hefty pinch of sodium. What will WWDC 2014 have in store? To the sources' credit, rumors of a Retina display making it over to Apple's thinnest and lightest laptop have been swirling since last February. In October 2013, whispers of a 12-inch Retina model equipped an all-new trackpad arose. This particular new MacBook Air was suggested for launch in mid-2014, making the DigiTimes report all the more curious. The publication also pointed to a 12-inch iPad arriving in the second half of 2014, and an OEM partner has reportedly already been picked. With both products slated for later this year, it potentially puts release dates right after the Worldwide Developer Conference in the summer, where Apple has classically announced new laptops and more. Could the 12-inch model be the fabled iPad Pro?